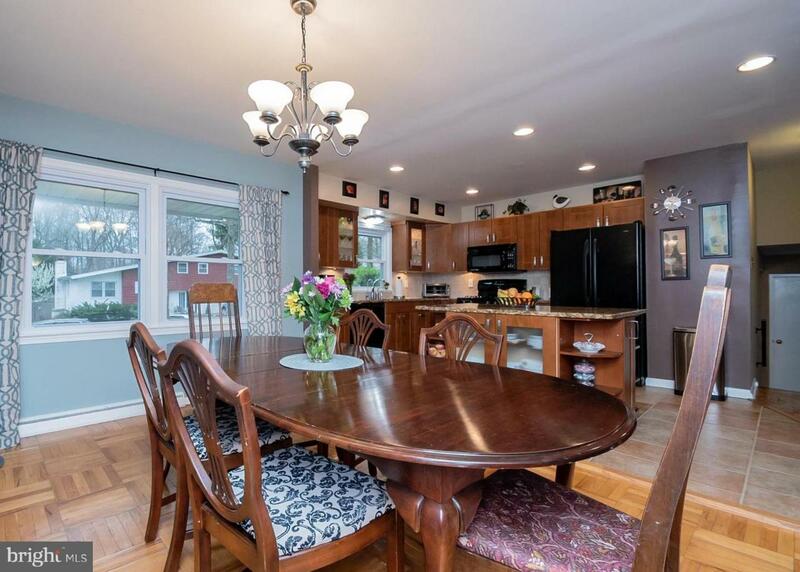 Welcome home to this amazing 4 Bedroom, 2.5 Bathroom Split Level Colonial with attached Garage, located in the well established, highly desirable, wooded community of Green Acres! This one has been beautifully updated; lovingly maintained and is ready for its new Owners! As you enter the Main Level, you'll find beautiful Ceramic Tile Flooring, an updated Powder Room, Large Coat/Storage Closet, access to the attached Garage and a generously-sized bedroom currently being used as an office. Look straight ahead to see the Sliding Glass Doors that provide a picturesque view of the Private Fenced Rear Yard, Patio, and Mature Trees; where you'll love hosting your outdoor gatherings and spending time with family and friends! The Lower Level boasts a HUGE Game/Great Room with tons of Built-Ins and a wood burning fireplace for those chilly Autumn evenings! You'll also find the Laundry Area on this level. 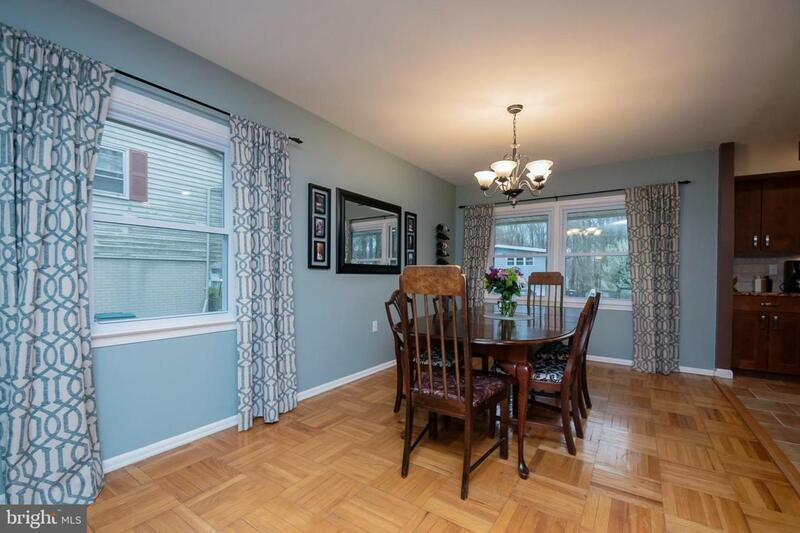 The Upper Level is spacious and open with hardwood/parquet floors that add warmth and character to this amazing home! The Living Room has Huge Windows, providing another spectacular view of the Large Rear Yard! The Dining Room is open to a Magnificent Kitchen that is a Chef's Dream! 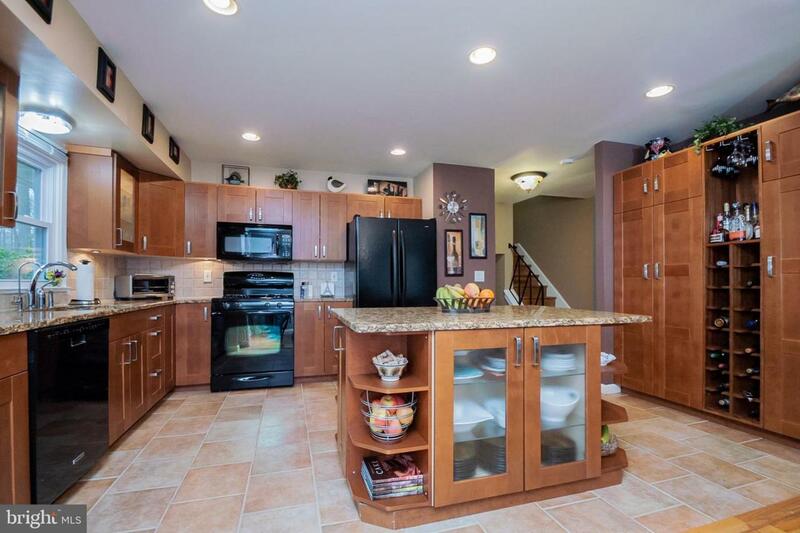 This absolutely Stunning Kitchen is not only beautiful but totally functional with its Glass & Maple Wood Cabinets, Ceramic Tiled Floor, Tiled Backsplash and Granite Countertops! 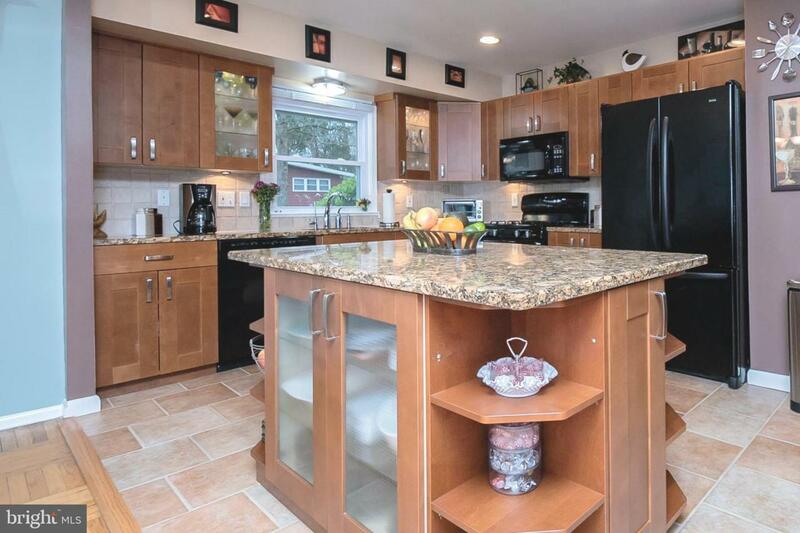 There's also a Gorgeous Granite-Topped Center-Island with Glass Cabinets & Additional Storage. You'll be amazed by the Huge Floor-to-Ceiling Pantry & Open Wine Cabinet, Recessed Lighting and Elegant Black Appliances! Without question, this will be everyone's favorite place to gather! The Fourth Level also has warm hardwood/parquet floors throughout, a spacious Hallway/Landing, Large Linen Closet, an updated Hall Bathroom, 2 Generously-Sized Bedrooms and a Lovely and Spacious Master Bedroom with organized closets and a Beautiful En-suite Bathroom! This is a great house in a wonderful North-Wilmington Community near a recreational area, located close to shopping centers, restaurants, public transportation, and I-95! Did I mention that this one also comes with a 2-10 Home Buyers Warranty Plan? Add this home to your tour, you will not be disappointed!